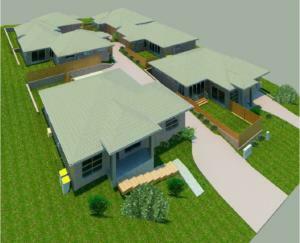 This is a six unit development on a sloping site in Gillieston Heights. 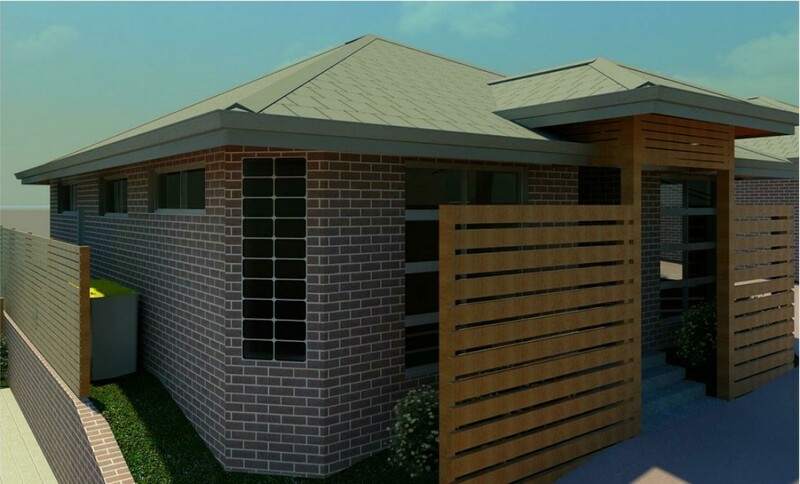 The brief was to construct single storey brick veneer units on the site, and to basically fit as many on there as possible within site constraints and Council guidelines. After a few meetings with Council and design tweaks the project was approved with 4 x 3 bedroom double garage units, and 2 x 2 bedroom single garage units. All the units living spaces open into private north-east facing courtyards, and are an extension of the living space. The units step down the block to limit the amount of cut and fill due to Council restrictions, and also for design reasons, so although the site falls approximately 6m from corner to corner, the retaining walls do not exceed 1m in height. All the units are attractive and either address the street or the internal driveway. 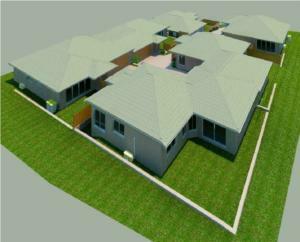 As the areas for each unit were level due to the cut and fill, the proposal will be constructed on a concrete slab. As an investment it was a priority that they were attractive and provided the best possible return, without significant construction costs. 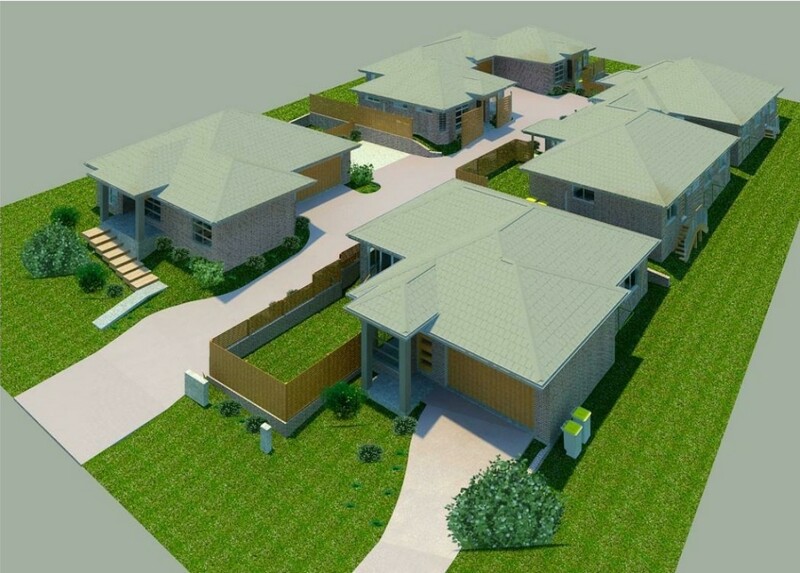 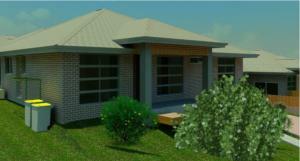 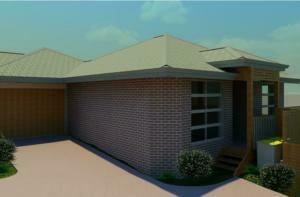 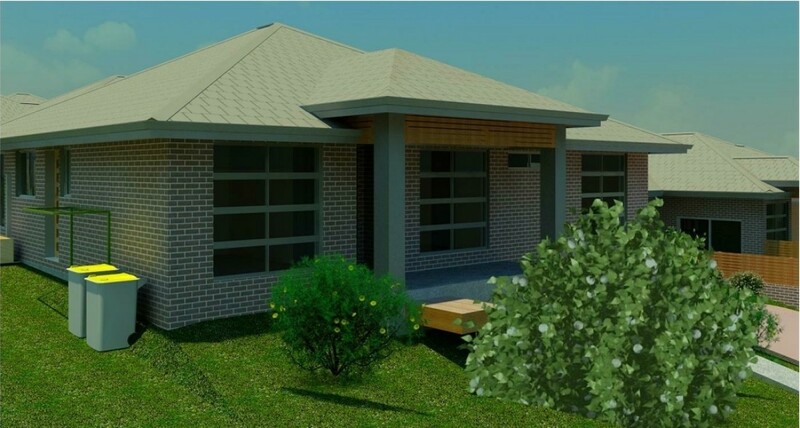 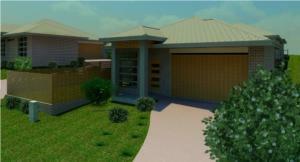 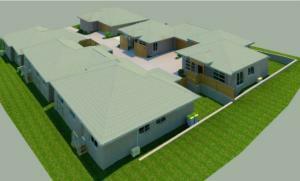 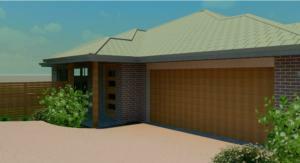 This unit development is to be constructed by Macquarie Knight Constructions.